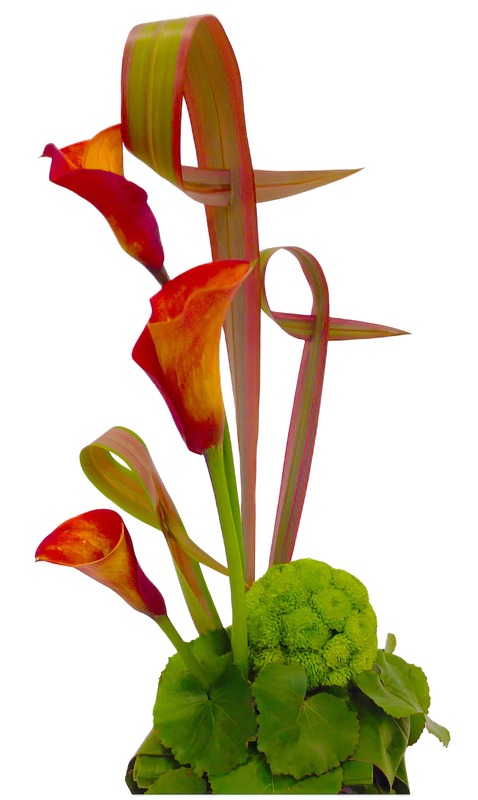 This unique arrangement of angular horsetail, orange calla lilies and a ball of button mums is sure to entice even the non-flower people out there. This is truly a work of art designed by none other than our very own World Renown floral artists! Send your friends a work of art, displayed on a limited basis for their viewing pleasure!